A few days ago, after reading the news that the lawful interception malware FinFisher was discovered in the wild, I thought... "Wow, finally we have the evidence, and probably we will debate for a long time regarding the use of this tool and of similar agents." But as fate would have it, the same day came the news that a new malware hit the Middle East and the interest in FinFisher ended abruptly. What is surprising is that the FinFisher spyware has been discovered on at least five continents. It is a powerful cyber espionage agent developed by the Gamma Group that is able to secretly spy on a target's computers, intercepting communications, recording every keystroke and taking complete control of the host. The spyware was developed for law enforcement and government use, but it seems to be preferred by those regimes that desire to monitor representatives of the opposition. The malicious emails were obtained by Bloomberg News, and are not the only evidence of the spread of this malware, as another team led by Claudio Guarnieri of Boston-based security company Rapid7 has analyzed the lawful interception malware discovered in the wild, explaining how it communicates with its command server. The study has revealed that instances of the malware have been detected also in Australia, U.S, Dubai, the Czech Republic, Indonesia, Latvia, Mongolia, Estonia, Qatar and Ethiopia. As Guarnieri clarified, the discoveries don't indicate that the relative governments use FinFisher, it is possible in fact that Gamma's clients use the product in other nations. What really worried me is the uncontrolled spread of this malware, evidence of a thriving market which nevertheless has many dark sides. Gamma International GmbH managing director Martin J. Muench replied disregarding results proposed by the researchers. He confirmed that the Gamma hasn't sold its spyware to those countries and also added that samples used for investigations were stolen demonstration copies or were sold via a third party. Muench confirmed that Gamma complies with the current export regulations of the U.K., U.S. and Germany - meanwhile the governments of the countries where the instances were detected have either denied they use the spying product or have avoided providing official explanations. There is a great debate on the use of spyware, as they represent a serious threat to privacy and human rights, and the fact that similar malware was detected all around the world is a demonstration of how wide the diffusion is. What is alarming is how it is possible that a tool intended for a limited number of categories of private businesses and governments has been found everywhere. According the Guarnieri’s study, the malware has a very noisy presence in the system, it installs inline many user-mode hooks in several running processes. It's not clear at this moment the entire list of functionalities of the agent but, the researchers believe that it remains silent whenever it doesn't have an active Internet connection..
"We believe that the Skype interception module is implemented tampering the circular sound buffer from Windows' DirectSound interface." During the tracking of C&C servers, the researchers noted an unexpected behavior - all the services binded on the ports the malware tries to exchange binary data with respond in an unusual way whenever performing any, even malformed, HTTP request. Concluding, the researchers declared their interest in governmental malware, but are worried by its wide-spread use. "The malware seems fairly complex and well protected/ obfuscated, but the infection chain is pretty weak and unsophisticated. The ability to fingerprint the C&C was frankly embarrassing, particularly for malware like this. Combined, these factors really don’t support the suggestion that thieves refactored the malware for black market use." It's a matter of time, but similar applications can certainly be used by the evil-minded for unspeakable purposes. What we can we do to diffuse knowledge of them and info on how to protect ourselves from what is a serious attack on our privacy? The guys at EmergingThreats helped us refine our Snort rules a little bit in order to lower the possibility of false positives. At the time of writing, 8 out of the 12 servers are not responding anymore: all the ports originally used have been filtered or closed off after our analysis and the related news articles have been published. 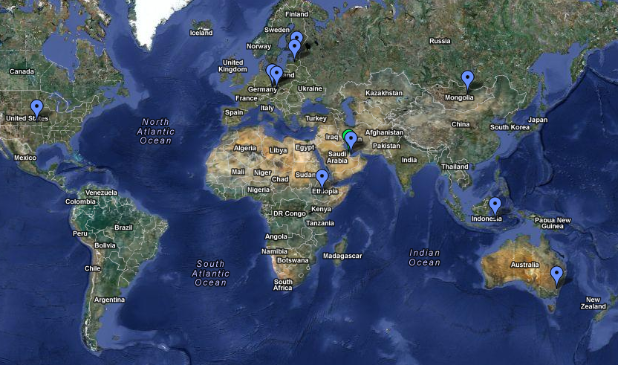 Even the ones that were actively responding, like Latvia and Bahrain, are now inaccessible. A very odd timing, isn't it? In the last few hours we read of many people questioning the validity of the "Hallo Steffi" pattern, saying that it could be completely unrelated to the FinFisher toolkit, as also Gamma's Muench stated to Bloomberg. 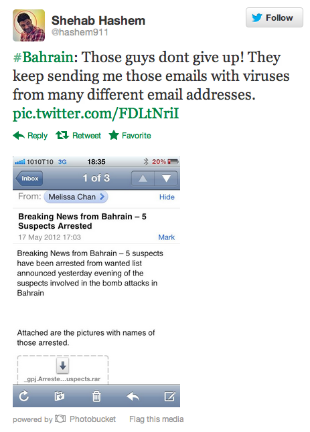 Fair enough, we also mentioned in this same blog post that there is no way we can guarantee a direct connection between that string and the malware, we only reported an anomaly on the Bahraini infrastructure and the discovery of the same anomaly in other locations. We believe that this unusual behavior could have actually been a deception technique adopted by the FinSpy Proxy to disguise the nature of the service, but that when they realized it was actively used for fingerprinting the C&C servers was promptly disabled to prevent further discoveries. Every FinSpy sample is configured with a set of multiple ports that it can try to contact: it will start from the lower port (for example 20), attempt a connection 3 times and then move over to the next one. As you can see the last one is port 4111. We believe this is the standard FinSpy port and that all the other ones are probably just forwarded to 4111. The FinSpy "demo" sample contacted port 3111 to tiger.gamma-international.de and ff-demo.blogdns.org, close enough. The last one also shows port 9111, which we observed along with port 3111 being open fewer times as well. Is it more convincing now?